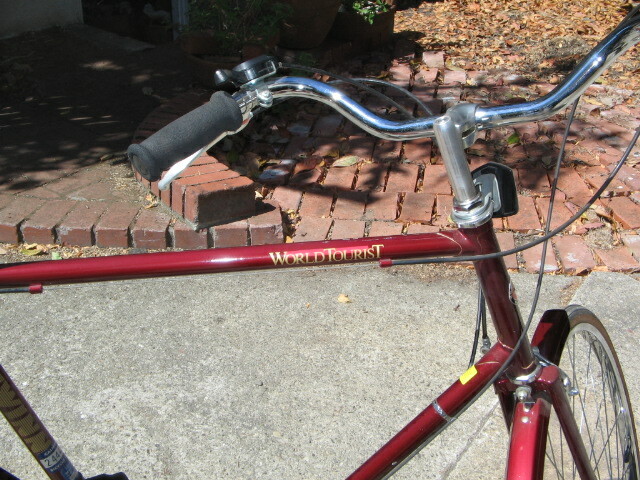 This is Tad B’s 1986 Schwinn World Tourist. Nice Bike…from what I can see of it! 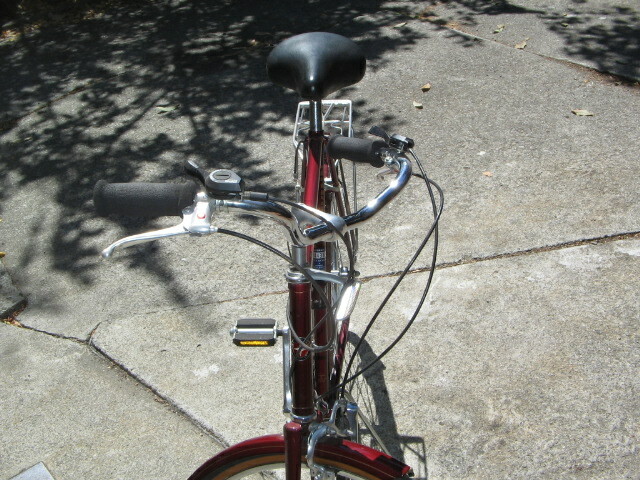 This bike was manufactured in April, 1986, and was purchased new on Aug. 13, 1986. I’m the original owner. It has a 24″ man’s frame, and the wheels are 27″. It has the 10 speed Shimano Front Free Wheeling System with the Thumb Indexed Shifters on the handlebar. The bike has not been ridden much, and is in excellent condition. Everything is original on the bike, and as I purchased it. I still ride it some, and it is a very nice bike to ride, as people have pointed out. 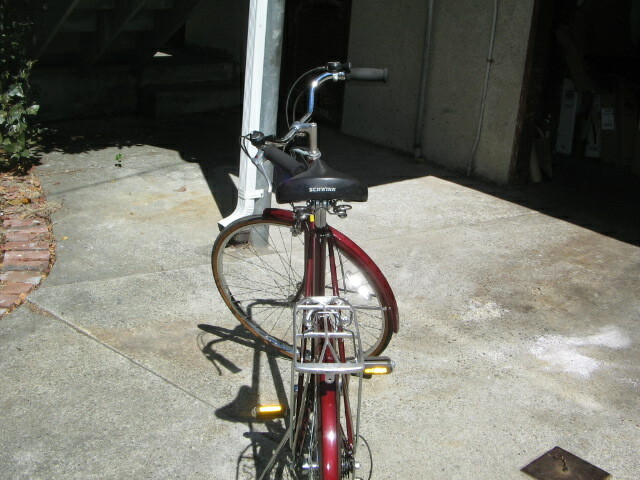 The bike is maroon with gold pinstriping. I have the manual that came with the bike, but it is a general Schwinn manual, and does not include information on the Shimano Free Wheeling System and shifters. Tad B. Nice Schwinn, Tad! Still looks like new! I’m going to guess it’s probably one of the last true 10-speeds that were available, since (most/all?) 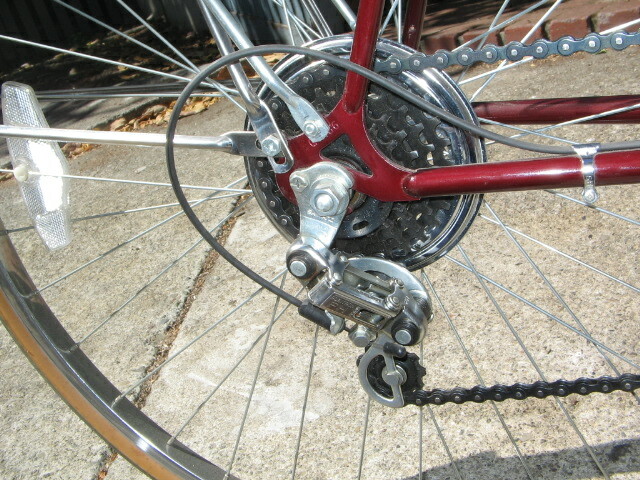 drop-bar road bikes were 12-speeds by 1986. If it wasn’t for the (indexed) thumb-shifters and cotterless crank, it could almost be mistaken for a 1966! 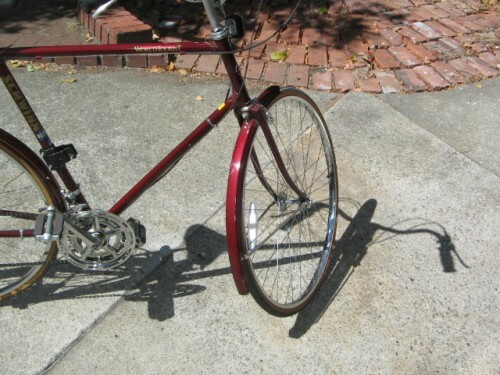 This now has me wondering exactly when Schwinn completely abandoned “electro-forged” frames, solid-steel forks and one-piece “ashtabula” cranks, in their adult bikes.